Basketball is quite a young sport that has taken the world by storm for it’s athleticism and accessibility, almost anyone can hang a hoop against a wall and practice alone or with a small group of friends. 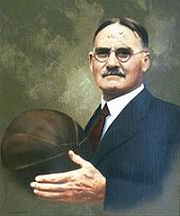 Originally basketball was invented by a Canadian athletics coach, Dr James Naismith who was asked to create an activity that would keep a group of trainees instructors at the YMCA Training College active and entertained during the cold winter months. The original 13 rules of the game are still used to this day with minor modifications and additions. Inspiration for the game came not from similar indigenous games found in China or Central America, but instead from a childhood game called “duck on a rock” which involved throwing a rock at another rock on top of which was an object, which could be anything, but which was called the duck. The very first game of basketball in 1892 was played with a soccer ball and two peach baskets suspended from the walls of the YMCA gym. Slight modifications to the peach baskets were made after, but it wasn’t until ten years later that the open ended basket was designed, it had been tiring work for the umpire to retrieve the ball after every goal. The YMCA in Springfield Massachusetts is known as the home of basketball because it was at their training school that Naismith worked, and through the YMCA that basketball spread across the USA. Naismith was also a chaplain and proponent of clean living so it’s fitting that first basketball competition between two teams was one by a YMCA team. The ball used was redesigned in 1929 for more bounce than a soccer ball, and was also made bigger and lighter for easier handling than the soccer ball which is smaller and less bouncy. 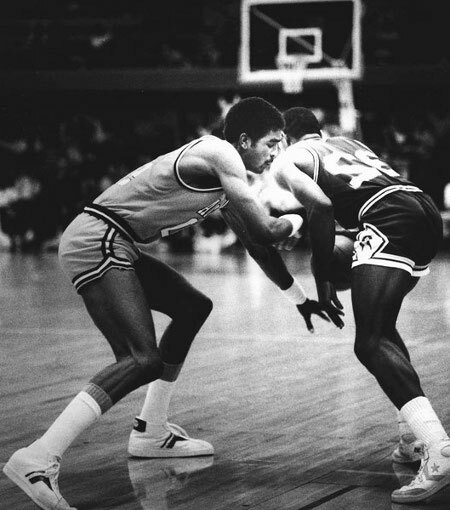 In 1949 the National Basketball Association was formed from the merger of the National Basketball League and the Basketball Association of America. In the history of basketball the most famous team ever is a team that in fact doesn’t compete, instead the team, known as the Harlem Globetrotters, are a showcase team who entertain crowds with their ball handling skills and on-court antics. 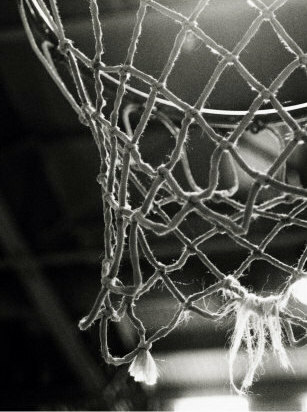 Competitive basketball has been played almost since it’s invention, but it was college basketball in the middle of the 20th century that really attracted the most interest, and made it possible for pro basketball to develop into the franchise it is today, one of the highest earning games on the planet. So popular had basketball become after the second world war that the FIBA World Championship was created in 1950, originally with just 10 national teams which has now grown to 26 teams in 2009 and is expected to increase further. The first World Championship was won by Argentina, and it wasn’t until 2002 that team USA finally won the coveted trophy. Netball and Korfball are derived from Basketball but the rules are changed making allowances for the physical capabilities of women or mixed teams.